Especially this season, The Flash has delivered tons of comic book references, even over to rival Marvel Comics with nods to the likes of Spider-Man, but now it’s gone so far as to seemingly reference a contemporary Marvel Cinematic Universe movie directly. And it’s one of the best in recent memory: Thor: Ragnarok. Edwin Gauss is the final bus meta on DeVoe’s list, and he’s a total hippie that a local commune refers to as “The Folded Man” because he’s “everywhere and nowhere.” His powers allow him to enter a unique pocket dimension (yes, one that’s very different from the whole multiple Earths thing), which explains why neither Team Flash nor DeVoe was able to find him. But after Ralph realizes that he can use Gauss to enter DeVoe’s secret lair — which is also in a pocket dimension — to kill The Thinker, it forces a confrontation with Barry. 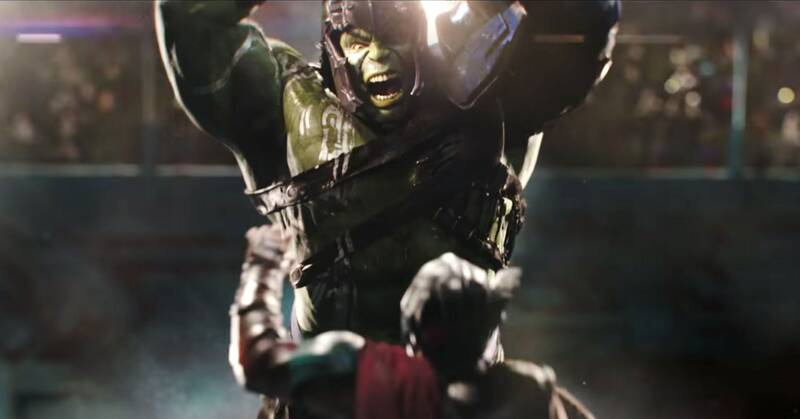 Remember when Thor thunder-punched Hulk in 'Thor: Ragnarok'? Barry offers “a drink with a friend” as a show of apology after Ralph wakes up. “Is that what you call somebody that just went all ‘Thor son of Odin’ on you?” Dibny says. To be fair he could be referencing anytime Thor threw a punch in the past, but considering this is a friend fighting a friend and that Thor pretty much just smashed people with his hammer before, it makes this reference pretty clear. It’s a shame to see them fighting too, considering what happens at the end of the episode, because DeVoe successfully steals Ralph’s body, therefore permanently killing him as far as we can tell.